Losing a tooth can have a significant impact on not only your dental health but also your mental health. While there are various health hazards that come with losing a tooth, there is also the psychological damage to your self-esteem and confidence. The physical and mental damage of losing a tooth is why it is essential to get a missing tooth replaced as soon as possible. Two of the most popular ways to replace a missing tooth is with dental implants or dental bridges, but which method is best for you? The dental experts at University Dental in San Diego weigh the pros and cons of dental implants and bridges below, but to find out which solution truly works best for you give us a call today at (619) 582-4224. Dental implants consist of a titanium screw that is implanted into the underlying structure of the missing tooth. Therefore, it does not need any support from surrounding teeth, freeing the surrounding teeth from any added strain. Dental implants also encourage the bone structure and gums beneath the implant to heal quickly and properly while also reducing the risk of any long-term damage to your jaw. Finally, a well-placed dental implant is expected to last a lifetime, although you may need to eventually replace the crown resting on top of the implant. Dental implants are a cutting-edge procedure, which means that the treatment can be more expensive than other options. 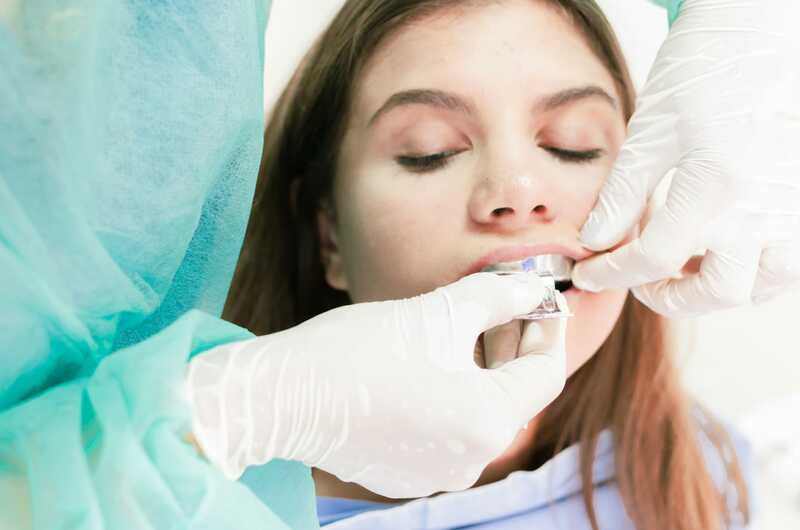 Also, a dental implant procedure is complicated and can take longer to complete, requiring more visits to the dentist than other services to reach completion. Dental bridges are quick, easy, and cost-efficient, allowing you to replace missing teeth in a shorter time frame than dental implants at a lower price point. Also, if you happen to have bone loss near the missing tooth, a bone-graft is not required to replace the tooth. With dental implants, a bone graft may be needed. Dental bridges rely on surrounding teeth for support and structure, putting a greater burden on all of your teeth, but especially the two teeth surrounding the missing tooth. This stress means bridges are not expected to be a lifetime solution, and at some point the bridge will likely have to be replaced. Also, dental bridges fail to resolve structural problems that can come with losing a tooth, such as bone loss, that can worsen over time.